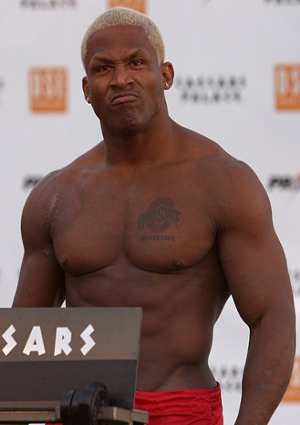 Former UFC heavyweight champion Kevin Randleman aches after a tough loss and injury. The American mixed martial artist and former UFC heavyweight title holder, Kevin Randleman, was defeated by Baga Agaev through a first round arm-bar submission at Mayor’s Cup last Saturday. Kevin Randleman, who came from a one-year layoff, has suffered dislocated elbow. His companion in Russia – Ken Pavia – has confirmed the incident and post Randleman’s before-and-after fight x-ray pictures on Twitter. Kevin Randleman, was also defeated by Roger Gracie in Strikeforce last year through a rear-naked choke submission, makes his record 17-16 — including four consecutive loss. The 39-year-old MMA fighter has a background of Collegiate Wrestling and recently seen training at Randy Couture’s gym in Las Vegas, Nevada.